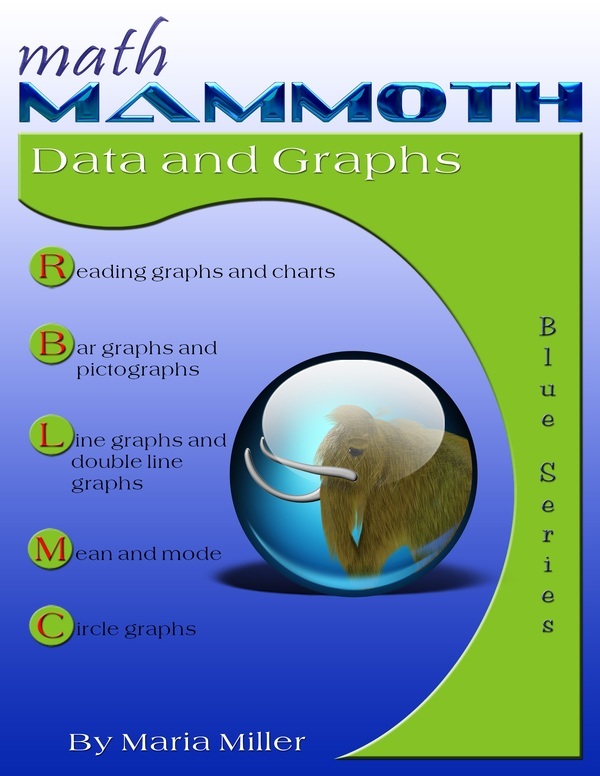 Math Mammoth Data and Graphs is a worktext that covers common statistical graphs and some related topics for grades 2-5. It is a worktext, containing both the "text" (instruction) and the "work" (exercises and problems). The book starts with the easiest topics: reading and making bar graphs, pictograms, histograms, and various kinds of line graphs. Most of these lessons are best suited for 4th and 5th grades. draw bar graphs and histograms from a given set of data. In order to make histograms, it is necessary to understand how to group the data into categories ("bins"). The lesson Making Histograms explains the method we use to make categories if the numerical data is not already categorized. Toward the end of the book, we study average (also called the mean) and mode, and how these two concepts relate to line and bar graphs. This is also meant for grades 4-5. Other math curricula also introduce the median, but I decided to omit it from this book. There is plenty of time to learn that concept later, for example in Math Mammoth Statistics & Probability. Introducing all three concepts at the same time tends to jumble them together and become confusing — so that many students just grasp the calculation procedures. I feel it is better initially to just introduce and contrast the two concepts of the mean and mode, in order to give the student a solid foundation. Lastly, we study Circle Graphs which may be left to study in 6th or 7th grade, because it requires that the student understand percentages. 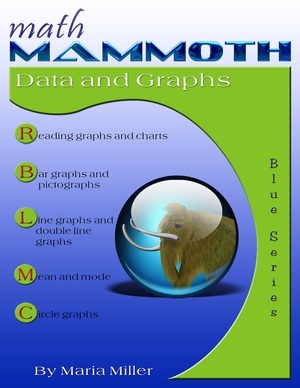 Math Mammoth Statistics & Probability — a worktext about distributions, histograms, stem-and-leaf plots, mean, median, mode, random sampling, comparing two populations, simple and compound probability (grades 6-7).